Craft Brew Alliance Announces Letter of Intent to Enter Strategic Partnership with Appalachian Mountain Brewery, Inc. 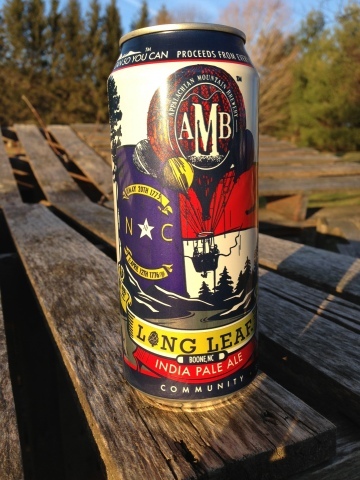 Craft Brew Alliance, Inc. (“CBA“) (Nasdaq:BREW), an independent craft brewing company, today announced it has signed a Letter of Intent (the “Letter”) to form a strategic partnership with Boone, NC-based Appalachian Mountain Brewery, Inc. (“AMB”) (OTC:HOPS). Under the terms of the Letter, the two publicly traded companies will explore potential opportunities to drive business growth and shareholder value through sharing resources in key strategic areas including, but not limited to, brewing, purchasing, distribution, and sales. The prospective partnership also gives AMB’s employees access to CBA‘s thought leadership, technical resources and 30+ years of experience in brewing, branding and bringing to market world-class American craft beers. CBA and AMB share several similarities that reinforce the strategic alignment and cultural fit between both companies, including distinctive and identifiable brands that are rooted in real local heritage and a strong belief in the importance of community, philanthropy and sustainability. CBA‘s portfolio of brands includes three of the industry’s pioneering craft brewing companies, Widmer Brothers Brewing, Kona Brewing and Redhook Brewery. All three companies are well known for their community involvement and commitment to environmental sustainability – from Widmer Brothers’ industry-leading water conservation efforts to Kona Brewing’s innovative use of solar power to supply its energy needs. Similarly, Appalachian Mountain Brewery oversees multiple programs focused on enriching its local communities, including its Pints for Non-Profits program and “We Can So You Can” initiative, which donates proceeds from every 16 oz. can sale towards the revitalization of mountains and rivers throughout the Appalachian Mountain Chain. In May 2014, Appalachian Mountain Brewery won the Startup Brewery Challenge at the Brewbound Session in Boston. CBA is a three-time sponsor of the contest, in which craft brewery owners have three minutes to present their business models and pour one beer that receives immediate feedback from an expert panel of judges. Following the Challenge, the two companies had an opportunity to work together on a collaboration beer. It was during this experience that the companies discovered a strong cultural similarity and mutual interest in exploring a longer-term partnership that would align with both companies’ values and business objectives. CBA is an independent, publicly traded craft brewing company that was formed through the merger of leading Pacific Northwest craft brewers – Widmer Brothers Brewing and Redhook Ale Brewery – in 2008. With an eye toward preserving and growing one-of-a-kind craft beers and brands, CBA welcomed Kona Brewing Company in 2010, and then launched Omission beer in 2012 and Square Mile Cider Company in 2013. 1. Appalachian Mountain Brewery, LLC, the Official Brewery of the Appalachian Mountains, not only makes seriously delicious craft beer, but focuses its business model on community, sustainability and philanthropy. In 2014, AMB was chosen as winner of Brewbound’s Startup Brewery Challenge and ultimately won Startup Brewery of the Year. AMB was selected to compete, along with 8 other startup breweries and cider companies from all over the country. The Company’s CEO gave a presentation outlining AMB’s core values and goals for the next several years. AMB presented the “1st Revolution,” a collaboration beer between AMB & Blood Sweat and Gears for the panel to sample and provide feedback and analysis. AMB won the popular vote with over 34% of all votes and the judges picked AMB as the winner of Brewbound’s “Startup Brewery Challenge 2014 Boston.” In 2014, AMB has won a silver medal for its Smokey Mountain Schwartz Beer and a Bronze medal for its Crooked Common in the 2014 U.S. Open Beer Championships. Additionally, AMB won two Gold Medals and won the overall categories in the 2013 United States Open Beer Championship for its Honey Badger Blonde Ale and California Common. AMB competed against the biggest and best breweries from around the world where over 3,000 beers competed in 81 categories for aroma, appearance, mouth feel, flavor and overall impression. Appalachian Mountain Brewery, located at 3,333 feet elevation atop the Appalachian Mountain Range in Boone, NC, is certified by the NC GreenTravel Initiative, a program that recognizes state travel-related businesses that employ healthy environmental practices. AMB is within minutes of world-class destinations such as Grandfather Mountain, Tweetsie Railroad, Beech Mountain, Sugar Mountain, Appalachian Ski Resorts and the Three-Time National Football Champions Appalachian State University. When our truck is parked at AMB it’s powered by 20 240-watt solar panels. Our utensils and containers decompose within 50 days. Sources its products that go into its menu within 50 miles of Boone, NC (when applicable/available). Donates to local farms and causes that affect our farming community thru its Flame To Farm Program. 3. Hard Mountain Cider, LLC currently holds a permit with the TTB and expects to finish construction of its facility and begin production in Q4. HMC is a wholly-owned subsidiary of Appalachian Mountain Brewery, Inc. Hard Mountain Cider, LLC has leased 3,300 square feet of operation space to begin operations of hard cider using North Carolina apples. HMC will operate (4) 10-barrel fermenters, (3) 10-barrel single wall brite tanks and (1) 20-barrel jacketed brite tank. Additional capacity is being explored for 2015 with plans to bottle and can for self-distribution. HMC, LLC has been officially certified by ASAP (Appalachian Sustainable Agriculture Project) www.asapconnections.org www.appalachiangrown.org as a AG Partner. This is a prestigious accomplishment for HMC in becoming officially certified as a Western North Carolina grown and produced product. HMC, LLC plans to begin production in Q4.